Many a times we like to have a hard copy of our appointments. Invest Plus helps you first set all the reminders and then print them in a proper manner. 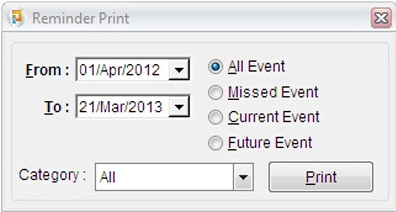 It is as simple, just click which reminders you want to print from the given options and that’s it, you can have a hard copy of all your important appointments in seconds.